Found 11 blog entries for April 2014. Monday, April 28th, 2014 at 9:51am. When it comes to high-end homes, there is absolutely none higher than Greenwich, Connecticut's Copper Beech Farm. Friday, April 25th, 2014 at 10:34am. Wednesday, April 23rd, 2014 at 9:40am. Buying a home with cash is not just for developers who want to buy, fix, and flip a home for profit. In fact, there are several good reasons to buy a home outright with cash if you can. Cash deals benefit you and the buyer by streamlining the process and lowering the risks of financing. Cash deals carry far fewer and much lower costs than mortgage financing, which carry interest with payments. If, for example, you took out a mortgage for $100,000, you could by the end of the loan's life wind up paying out $250,000. Cash deals, of course, carry no interest. You write the check, you get the keys, and your house is yours. Wednesday, April 16th, 2014 at 9:35am. With spring in the air, the thoughts of many homeowners have turned to their gardens. But with water restrictions still tight in North Texas, you might fear that your garden will wither in the summer sun. Well, perhaps not, if you know how to keep your garden healthy in a drought. supply due to the zebra mussel infestation are the main reasons we're in Stage 3 and likely will be for the coming months. Monday, April 14th, 2014 at 10:26am. In case you haven't noticed, a lot of new people have moved into the DFW area in the past year or so. More than 100,000 people moved into the region between July 2012 and July 2013, according to the U.S. Census. In fact, the whole area has grown to a whopping 6.8 million residents since 2010, and that means a boom in the housing market that just keeps on booming. Part of the allure for those immigrating to DFW is that the region offers a stable economy and good jobs. 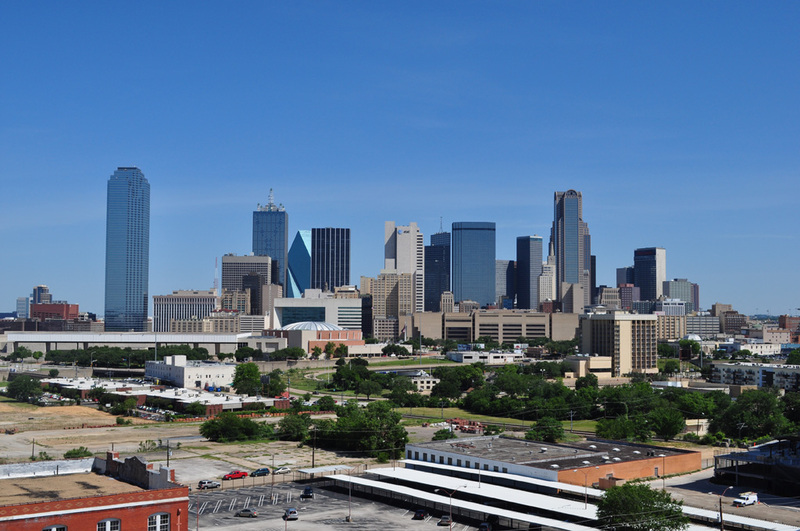 In fact, Forbes magazine recently ranked the Dallas-Irving-Plano section of the Metroplex the 13th best place in America to do business and work, and recognized a 2.9 percent growth rate in new jobs here in 2012, the last time the numbers were calculated. Friday, April 11th, 2014 at 9:59am. In the United States, asphalt shingles are the preferred way to protect a home's roof. They're durable, water-resistant, and easy to replace if one goes awry. But metal roofs are an increasingly popular option for those looking to combine strength with energy savings, particularly in hot climes like North Texas. Wait, Metal Roofs Make it Cooler? Thursday, April 10th, 2014 at 9:00am. Best known as a former hangout for Butch Cassidy and the Sundance Kid, Sundance Square is now Widely acknowledged as the most exciting downtown area in Texas. Sundance Square is a 35-block entertainment and shopping district that attracts millions of visitors each year and has been just recently remodeled. With world class entertainment at Nearby Bass Performance Hall, and dozens and dozens of restaurants, bars, and shops, Sundance Square is a must see attraction when visitors come to town. A very visible local police and private security force make this one of the safest places in the United States at night. Tuesday, April 8th, 2014 at 12:21pm. Being the 9th largest city in America, and the 3rd biggest in Texas, it is no wonder there are endless opportunities in Dallas for fun,, shopping, musical vunues of every variety, dining establishments of countless cuisines representing every area on the globe, cultural exhibits, and major sporting events. Thousands of reviews and recommendations from Trip Advisor offer up the best attractions for tourists in Dallas. Saturday, April 5th, 2014 at 2:31pm. tonight's game, which has a decidedly local attraction in Kentucky's prize forward Julius Randall from Plano, will undoubtedly spur young Caleb to work even harder to achieve similar success. Wednesday, April 2nd, 2014 at 9:26am. Almost all people in the past would have unanimously agreed that buying a house is a much better alternative than renting. However, the subprime crisis and economic downturn of the past decade have shaken this wisdom to the very foundation. Now, again the real estate market seems to be reviving and showing a lot of promise. Here are some points that are worth considering in the present scenario, when you want to decide between buying and renting a house.